Perhaps the legendary Paul Rand said it best; “design is the silent ambassador of your brand.” The importance of the relationship between design and brand strategy cannot be understated; one cannot reach its full potential without the other. Brand strategy, identity, positioning and value are not only expressed, but they are fully articulated to consumers through design in any number of ways … whether by graphic identity (logo type, brand dress, etc. ), marketing communication (advertising, web, social design, signage, etc. ), product and packaging design (user experience, brand reinforcement), or environmental design (architecture, retail environments, displays, etc.). As Wally Olins observed in his book Corporate Identity, design is what makes business strategy visible. And it can–and should be a beautiful thing. Think of the engaging visual closure of the arrow embodied in the FedEx logo, or the smooth, precise feel and heft of an iPhone in your hand. 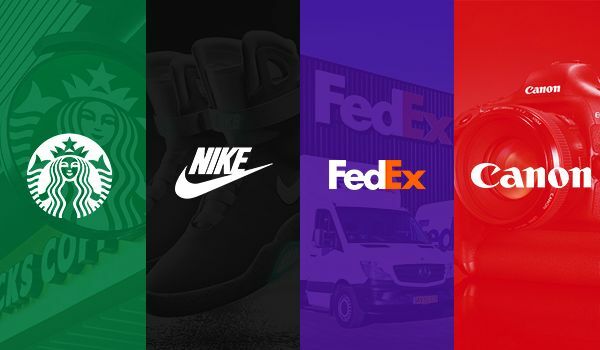 These and other examples like them are visible, sensual extensions of each brand’s strategy manifested in brilliant design. Our attraction to brands that are exquisitely designed is as old as Greek philosophy. Plato surmised, beauty is found in the form and in the idea of beauty itself. So for thousands of years, whether it’s a beautifully fashioned crown or a modern day smart phone, humans strive for and yearn for good design. We instinctively “know” when something “works” and when it doesn’t. And in our modern day marketplace, design either bonds the brand with the customer or it doesn’t. This “knowing”is actually built on what Lawrence E. Williams in Psychology of Design calls “Conceptual Scaffolding.” From birth, all of us construct conceptual scaffolding in our minds from our experiences in the world. Designers use these “physical concepts and their psychological analogs” to shape their ideas to serve brands they work for. Very often, these are universally understood concepts, such as more distance between buttons on a control pad means they don’t relate, or the weight or sound of a device or vehicle can create the perception of quality or power. For example, when we scroll down down our smart phone and lift our finger off the screen, the momentum of the menu will simply slow to a stop. Our conceptual scaffolding expects that to happen, even though the product engineers had no operational reason to create that effect. Good product design doesn’t disappoint and the screen scroll we did with our finger tip obeys our conceptual scaffolding of physics and inertia. Design, probably more than anything, links brand and customer. Design relates brands to us and our world not only through mirroring our conceptual scaffolding, but through enhancing our identification, engagement, memory, and relationship with brands with all of our senses. We are, after all, sensual beings. Information about a brand is not only communicated verbally and logically, it’s also imprinted on the consumer’s psyche by sight, sound, smell, taste and touch … by design. Visual design, through symbols and iconography, provides communication shorthand for brands in today’s increasingly multicultural, multilingual society. Color selection is extremely important and can break through cross cultural barriers through universally understood meanings. Colors can also be “owned” by a brand within a category as part of its distinctive identity. Coca-Cola Red isn’t just any red. How things are organized for consumption, be it visual hierarchy on the vertical axis or strategic placement of ad elements, also conveys relative importance of information because of the way we are conditioned to view and interpret. Lastly, how products are depicted will have a direct bearing on the intent to purchase. Does the photo or video stimulate the imagination for experiencing the brand—how it tastes, smells, feels, or sounds? Our sense of smell is often the most under-rated, yet most powerful design component to make a customer connection. The tongue can only distinguish five taste qualities, however the nose can distinguish millions of scents and the brain is wired to encode, then activate memories associated with scents going back to our childhoods. Through their environmental and product deign schemes, automakers, retail and hospitality use unique smells to identify and imprint their brands on customers through polymer delivery systems and injected into their HVAC. And of course, the aroma of some brands, such as Cinnabon are truly irresistible. How does the turn signal sound in an Acura? Or the engine sound on a Harley Davidson motorcycle? Or the role of music in the brand’s retail space (like Abercrombie) or as a musical “stinger” in advertising (such as Intel)? Sound design promotes cohesive brand expectations and experiences as powerful as visual design. Flavor profiles are meticulously created and researched to differentiate competing brands, like Coke and Pepsi. Some prefer the coffee at Dunkin Donuts, others prefer Starbucks. Taste can command loyalty. Ask any floor covering shopper about their reluctance to order flooring online, and chances are they will tell you they have “to feel it.” In fact, the first thing anyone shopping for carpet will do is to stroke the sample. How it feels is important and carpet and rug makers are in a race to design their carpet to be softer and smoother. The quality of touch for flooring, clothing, tissue brands, even “mouth feel” for food and beverage makers, is important to its appeal and differentiation. The merger of brand strategy and design results in one of the most powerful forces in our world, shaping perceptions and driving consumer decisions. Activate that power by linking design to your brand strategy and brand strategy to your design.